Guy Fawkes Night, also known as the Bonfire Night, is celebrated November 5. Uniquely British tradition, this is one of the most spectacular festivities observed annually. The Typical Student team learned where the tradition came from and how students celebrate the Bonfire Night across the UK. Guy Fawkes Night originates from 1605, when a man called Guy Fawkes took part in the Gunpowder Plot to blow up King James and his government. The plotters planned to set off over 36 barrels of gunpowder hidden under the Houses of Parliament. However, they were caught and their plot failed. After that, each year on the 5th November the plot failure is celebrated across the UK. 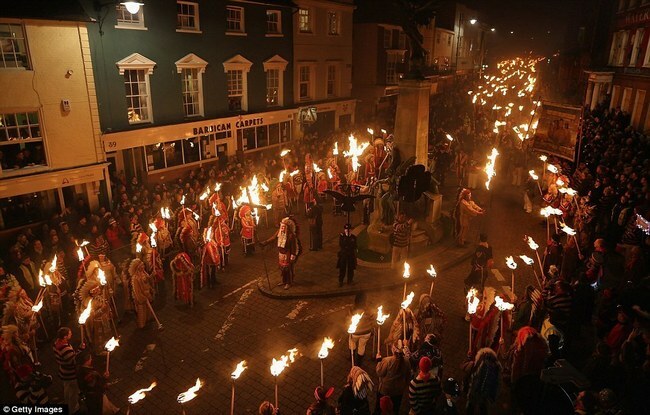 Spectacular Guy Fawkes Night celebration in Sussex, called Lewes bonfire night. Students often partake in this event which attracts over 60,000 people annually. People march the streets carrying the Guy Fawkes' dummy. They are dressed in historical attire recreating the King James era. As the plot was prepared by Catholics, you can see people wearing robes and bearing blazing crosses. Others carry torches, which creates an omnious atmpsphere in the darkness. The procession ends on the main square where the Guy Fawkes' dummy is tied to a pillar and burnt. This year's Guy Fawkes' Night was marked with shocking arrests of five men in connection with a model of Grenfell Tower being burned on a bonfire. These men have been taken in custody and are suspected of a public order offence. Theresa May commented on the situation saying this is disrespectful for the victims who suffered in a tradedy back in June 2017. All in all, Novermber 5 celebrations across the UK went well and multiple fireworks have been seen here and there. That's how the fireworks in London looked. And how was your Guy Fawkes' Night celebration?